BHRC has issued a public statement regarding the current and ongoing situation in Zimbabwe, following a national protest called for by trade union, civic and church leaders. In its statement, BHRC raises concern over reports of shootings and beatings of civilians and the detention of large numbers of people, including children. There is also concern for fair trial rights, with evidence that those arrested have been systematically denied bail and are facing immediate trial without an opportunity to prepare a defence. Reports also indicate that two prominent human rights leaders, Pastor Evan Mawarire, the leader of the #ThisFlag movement, and Obert Masure, a leader of the Teacher Trade Union Movement have been arrested. BHRC has raised concern for Pastor Mawarire previously when he was arrested in February 2017 for his work with #ThisFlag. 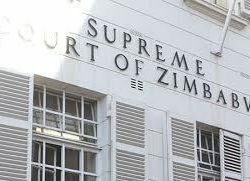 “Under Article 50 [of the Zimbabwe Constitution of 2013], a person must be released from detention whilst awaiting trial unless there are compelling reasons justifying their continued detention…. Immediate investigations into the violence to report on the situation in Zimbabwe. You can read the full statement of concern here.